What Christmas Traditions Do You Love? Hey, did you know that Christmas is only 1 week away? I know, I know, how could you not? 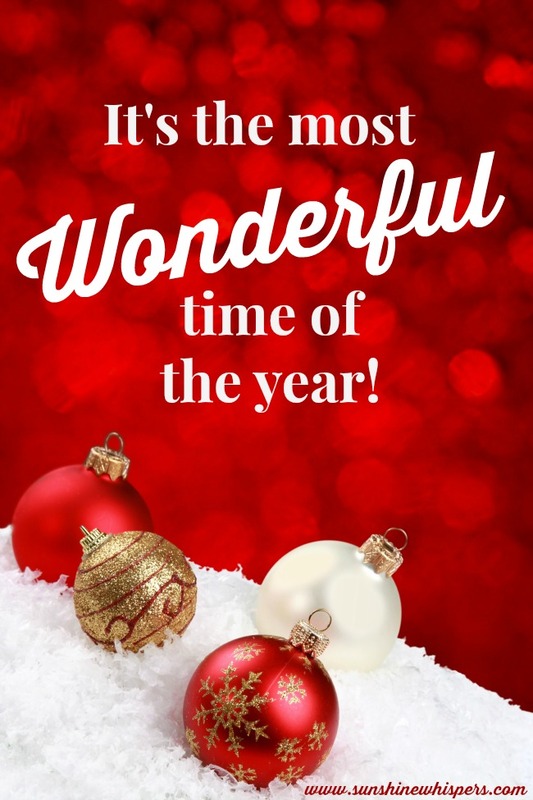 In honor of the week before Christmas, I would love to hear from you! What Christmas traditions do you love? Which traditions have you carried over from childhood? Which traditions did you start once you started your family as an adult? Christmas cookies. I love to bake Christmas cookies and are so excited that my 3-year is old enough to be my baking assistant this year! Some of our family’s favorite cookies are Cherry Delights, Snowballs, and Peppermint Patties. Christmas Eve early dinner and Christmas lights. Every Christmas Eve, we always celebrate with an early Christmas dinner at a relatively nice restaurant. Then, with full bellies, we pick a nice drive-through lights display to see before heading home to read ‘Twas the Night Before Christmas. Christmas books. Last year we started a great tradition where we wrap 25 Christmas books (we used the same books this year as last year) and put them under a small tree. Then, each day in December, Sweet Pea unwraps one book and we read it before bed. Sweet Pea loves this tradition and honestly, I do too! Christmas crafts. Again, we started this tradition last year. Sure, there are plenty of gorgeous holiday ornaments and decorations you can buy. However, there is something heartwarming about making crafts together… and creating your own keepsake memories. Santa Train. This year we had the fantastic fortune to make reservations for an amazing Santa Train. It was a smaller operation, but big on charm.. and perfect for younger kids. Do the dishes for me tonight! Let me sleep in while you get up with the kids. Play a board game of my choosing. Movie night in– my choice of movie! Please make my favorite dish (for our house, this would include lasagna, hamburger soup, meatloaf, or shepherd’s pie). Please rub my head. I have a headache. 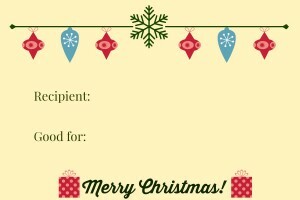 If you would like to make your own coupons for Christmas, I created a simple coupon template. 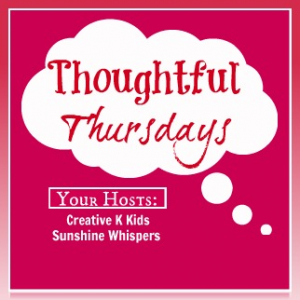 Please feel free to click on the picture below to download a free coupon printable! Anyway, I hope you enjoy your last week before Christmas! The Fundamental Home gives great encouragement for the overwhelmed mom. Just One Mommy’s Opinion talks about her experience transitioning from staying at home with her kids to working outside the home. Women Abiding offered 3 effective ways to be more holy.